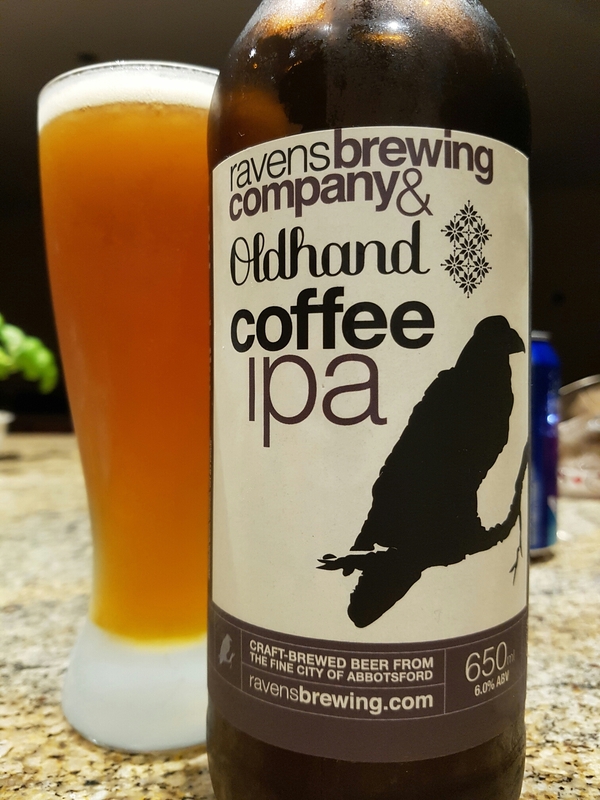 Oldhand Coffee IPA – Ravens Brewing Company (Abbotsford, BC, Canada) | Justintoxicated. Visual: Pours almost clear pale orange-brown with a small 1cm head, a thin spotty layer of retention, mostly sticky lacing, clusters of tight micro streams emerging from the base. 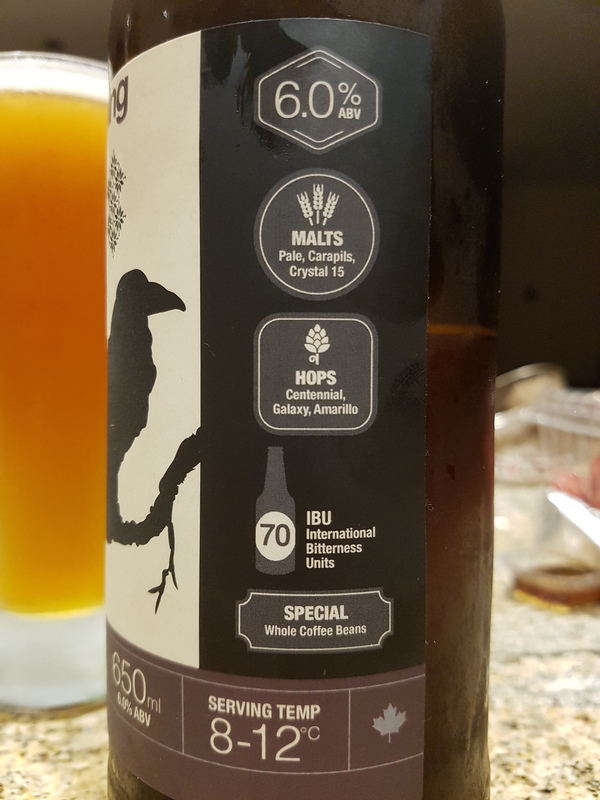 Summary: Decent mouthfeel and coffee malty flavour but I’m not liking the astringent rough bitter finish. The hops are a bit harsh and gives the impression of mistakenly burnt malt. 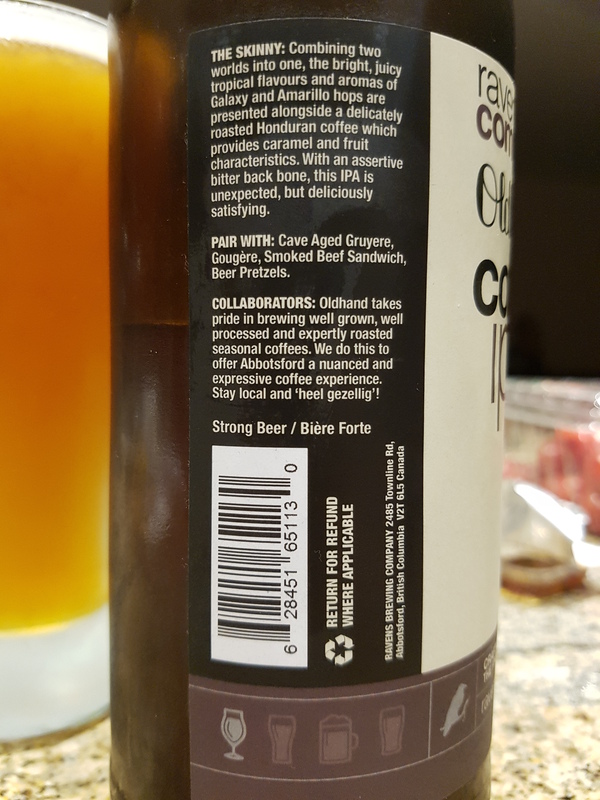 I had Rogue’s Cold Brew IPA several weeks ago and this IPA just pales in comparison.